Home | LATEST | Does Your Car Have a Nickname? Way Of Life: Does Your Car Have a Nickname? Portland, OR – Ever since cars have existed, people have been giving them nicknames. I tend to think cars’ nicknames will manifest themselves at some point due to some traits or characteristics. Project 1995 Suzuki Sidekick, better known by its nickname, The Teal TerrorThe naming shouldn’t be forced. My lovely wife, Mercedes, however, believes cars should be given nicknames shortly after purchase. No matter how a vehicle gets its nickname, some of them are fantastic. 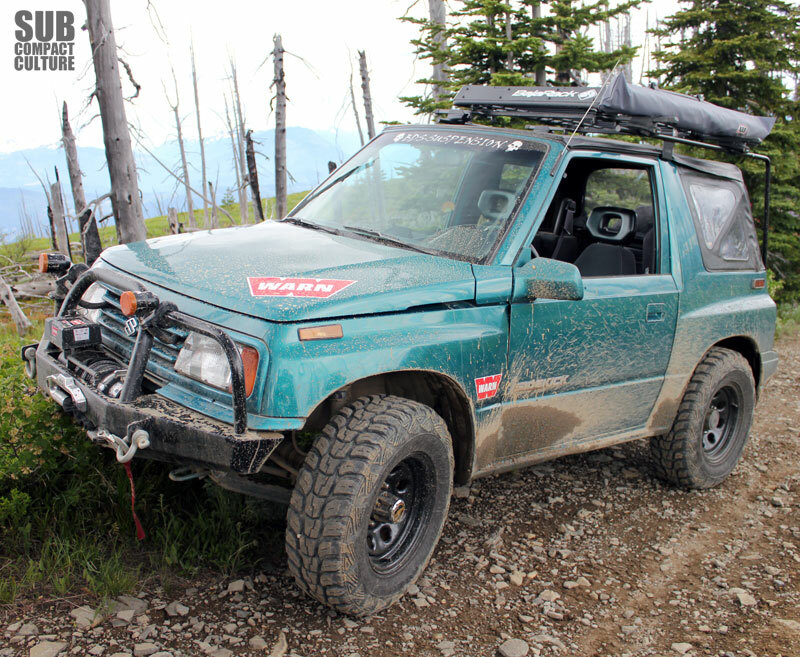 You may be familiar with our 1995 Suzuki Sidekick project vehicle, better known by its nickname, “The Teal Terror.” Why is it called that? Part of it is irony. Frankly, we made fun of the color when we got it, since it’s such a lovely shade of ’90s greenish. Also, few cars are less filled with terror than a 95 horsepower Suzuki Sidekick—especially one that is teal-colored. However, the name stuck, and friends and acquaintances all now refer to it as The Teal Terror. When we took delivery of our 2013 Subaru WRX, Mercedes wanted to immediately nickname it. Regardless of my attempts to dissuade her to wait for its earned nickname, she started calling it “Rexy.” (WRXy), although I refuse to call it that. Oddly, our 2007 Toyota Yaris never got a nickname that stuck. We called it “The Egg” for a while and Mercedes still refers to it as “The Jetsonsmobile” and then makes the sound of the Jetson’s car. She calls it this because she thinks it looks small, semi futuristic, and people always smile when they see it. One of the better nicknames we recently heard was from our new neighbors. They just bought a 2013 Toyota Prius in a very nice shade of burgundy; it also has the anthracite-colored 17″ wheels. Being wine enthusiasts, they call it the Tempranillo Torpedo (tempranillo being a wine grape varietal). We had a friend who had a 2001 Hyundai Accent she called “Pigpen” due to the fact that it often looked like a dumpster on the interior. In fact, I heard her father say that passengers should probably get a tetanus shot before riding in it. So does your car have a nickname? If so, what’s the story behind it?